Vijay Residency is the perfect place for the guests who want to feel they are home in an unknown city. The rooms of this residency are cozy, comfortable, well-lit and well-furnished with beautifully designed walls. The rooms include the basic amenities for the guests, with the pretty curtains adding to the charm of the room. 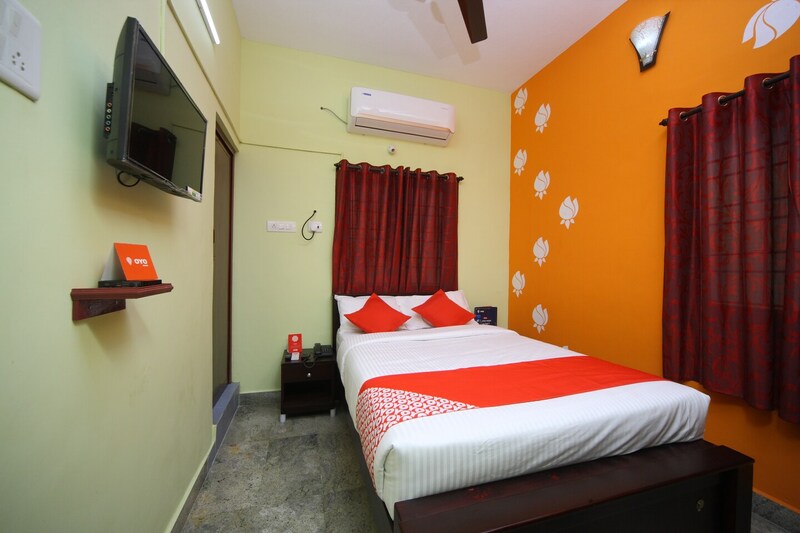 The residency has a seating area, a comfortable dining area, kitchen and even provide parking facility. They allow card payments making it convenient for the guests and with this, they have free WIFI, power back up facility, and CCTV cameras for the security of the guests.